Well, Hubby and my oldest have rode it around the driveway a time or two but most the old, and I mean old, skateboard is just sitting around the carport. It's just waiting for the day when I come by and step on it and break a few bones! 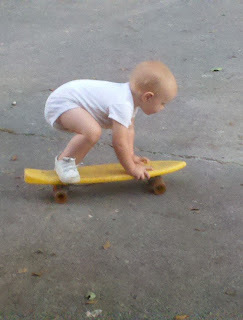 my little one trying out the old, and I when old, skateboard! 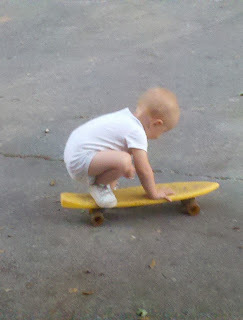 As I kept watching he kept trying to get the hang of it. He started getting the hang of it! 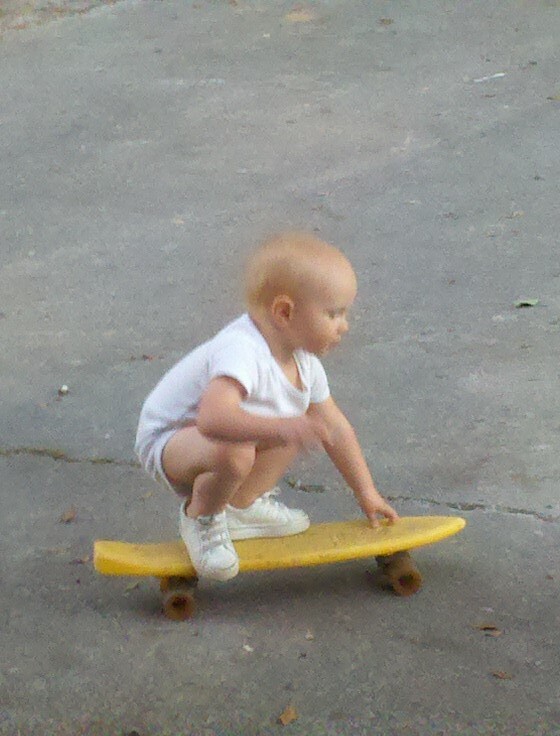 I might have the next Tony Hawks, who knows! That is so COOL and maybe a little scary! : ) I love seeing kids figure something out on their own. I love the photos. The photo of the little one trying to get up is priceless. I love that he stuck with it. Great Job! I hope you are having a fabulous day and thanks for linking up! SUPER DUPER CUTE!!! Love it! Thanks for sharing!